People with diabetes can travel all around the world with proper preparation ​​and planning. Tiong Bahru Community Health Centre (CHC) shares some travel preparation tips for diabetics. 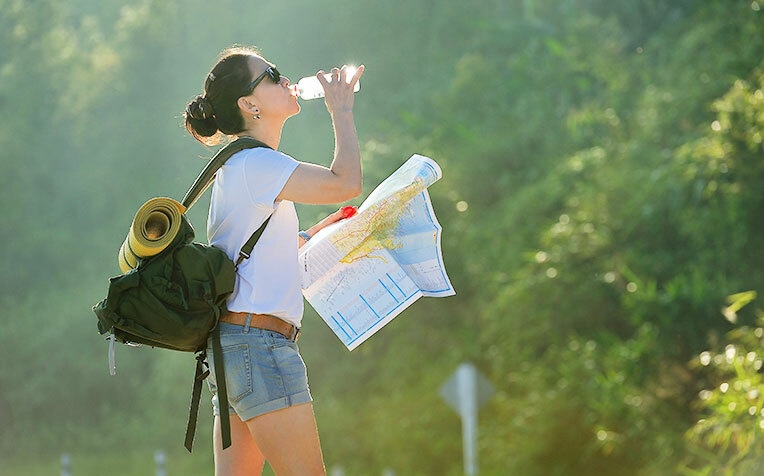 ​health tips​ on what to do before and during travel. There is no good reason for diabetes mellitus to stop you from travelling the world. However, before you pack your bags, you need to consider how you will successfully manage your condition away from home. A number of factors, such as the journey, the duration of your stay and the climate can affect your level of physical activity and the planning of your meals. These can then impact your insulin needs. As such, it is best to prepare well and in advance of your trip. Here’s a holiday checklist for people living with diabetes, courtesy of the Tiong Bahru Community Health Centre team. Discuss and plan your journey with your travel agency. Check if your travel insurance covers diabetes emergencies. Visit your doctor at least a month before you travel to discuss your holiday plans. An early visit to your doctor can help you get the information and treatment you need for a more pleasant vacation. how changing time zones and climate can affect your blood glucose level. Remember to ask your doctor for a letter that says you have diabetes and must hand-carry medication and medical supplies to manage your condition. It is also good to have a copy of your prescription in case your insulin becomes unusable due to extreme temperatures. It may be helpful to pack your medication in a compartmentalised pill box so that you can keep track of your dosage and notice easily if you missed any. It is also prudent to pack extra medication, in case your journey is delayed due to unforeseen circumstances. The same goes for insulin and other diabetes supplies, such as blood glucose monitors, test strips and lancets. Update the time on your watch upon arrival to keep up with the changing time zones. Rely on your watch to track your injection and meal times. Pack all of your medical supplies, especially your insulin, in an insulated bag to prevent damage due to extreme temperatures. Keep your insulin in their original vials. Pack your medication separately from your toiletries. Have your doctor’s letter and prescription on hand. Changes in your travel itinerary or transportation delays can affect when you have your next meal, and in turn, your medication. It’s good to bring along some snacks with you in your hand luggage to prevent episodes of hypoglycaemia. If you go on a package tour, please inform your tour guide about your condition. If you are travelling alone, tell the people sitting next to you on the coach that you have diabetes. Let them know that you have to check your blood glucose level from time to time and take your medication to stay healthy during the journey. You may want to explain how to recognise low blood glucose and how they can help in case of emergency. Alternatively, you may put on a diabetes bracelet, or put emergency contact information in your pocket or phone, so that people who are aware of your condition can help if you fall ill and are unable to speak. As routine is changed when you travel, test your blood glucose more often than usual. Keep your testing equipment near you, where it is easy to reach when required. During your journey or even at your destination, do not forget to take good care of your feet. Check your feet and soles for blisters from time to time. Prevent foot pain and injuries by wearing shoes and socks that are comfortable and protect your feet. If you are going to a beach, avoid walking barefoot. Lastly, visit a doctor if you notice any foot problems. Article contributed by the Tiong Bahru Community Health Centre. Tiong Bahru Community Health Centre (CHC) strives to bring about convenient health services to the community. It is helmed by a team of experienced nurses and allied healthcare professionals to support and complement GPs in their management of patients with chronic conditions. Main services include Digital Diabetic Retinopathy Photography, Diabetic Foot Screening, Nurse Counselling and Education, as well as Dietetic Services.